The Society for Industrial and Applied Mathematics (SIAM) is an international community of over 13,000 individual members with the aim of promoting industrial and interdisciplinary research. The Department of Mathematics at Imperial College London is an internationally renowned department within one of the world’s most prestigious universities. The principal aim of the Department is to train professional mathematicians to pursue the study of scientific and technological problems by mathematical methods, and to undertake research in various branches of the subject, for which it has achieved outstanding results in the most recent government research assessment exercise. 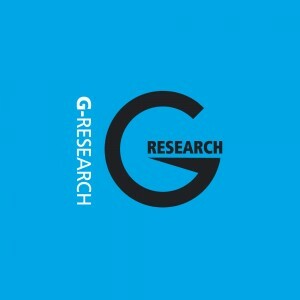 At G-Research we research investment ideas to predict returns in financial markets across multiple asset classes. We also develop the research and execution platform to deploy these ideas in markets globally. Our Quantitative Analysts research ideas to predict returns in global markets. They apply scientific methods from diverse disciplines including Bayesian statistics, signal processing and machine learning to discover the patterns hidden in noisy real-world financial data sets across multiple asset classes. Our researchers have first-class academic backgrounds in maths, physics, computer science or engineering. We hire from a wide range of backgrounds including directly from PhDs or postdocs, banks or technology companies. We do not require experience within finance, and are particularly interested in your academic achievements. Organisations with an interest in collaborating and shaping the impact of our SIAM student chapter are advised to contact us!